Collections Archives - Page 2 of 6 - 4300 Magazine Blog - Mignon Faget, Ltd. In 1984, New Orleans hosted the Louisiana World Exposition with the theme “The World of Rivers: Fresh Water as a Source of Life.” This theme spoke to Mignon Faget, who had already created many jewelry designs that featured Oysters, Crabs, Shrimp and other bounties of our magnificent Mississippi River and Delta. The exposition became a catalyst for further artistic exploration. Mignon wanted to honor the event and highlight New Orleans culture before the eyes of the world. She endeavored to return commemorative designs to the stature they held at the turn of the century when they were elegant collectibles and to present works that were carefully conceived and designed. It was at this time that Faget designed her iconic Gumbo Necklace and popular Gulf Stream Glassware. These items continue to have a long life after the World’s Fair. She also designed a Key to the Fair, inspired by the ornate gate at the entrance of the Exposition site, designed by Charles Moore and William Turnball. Louisiana’s Commissioner General, John Giffen Weinmann, commissioned Mignon to design a special plate for dignitaries visiting the Exposition. This design became a commemorative plate and later was adapted for a set of Gumbo China which sold in Mignon Faget’s galleries. Each set came with a recipe card for the Mignon Faget Design for Seafood Gumbo. Read more about Mignon’s Gumbo as well as a very New Orleans culinary encounter in this excellent story by Judy Walker from the Times-Picayune. The recipe is transcribed and updated for clarity. Bon Appetit! Still hungry for more? Feast your eyes on the dreamy redesign of Mignon Faget’s iconic Gumbo Necklace, featuring faceted moonstone and aquamarine. On a May afternoon in the lowlands of South Carolina, Gullah Festival is in full swing. Okra gumbo, conch stew, and candied yams fill the air with the enticing smells of the sea and garden. A display of wooden masks and baskets woven from sweetgrass greets the eye. The sound of a drum floats through the crowd and mingles with the musical voice of a Gullah storyteller. The annual festival celebrates the culture and heritage of the Gullah (Geechee) people, communities comprised of African-Americans living in the Sea Islands and Coastal regions of South Carolina and Georgia, also known as the Low Country. Mignon Faget has a family home in South Carolina and loves to attend the regional Gullah Festivals when she visits. Besides being a feast for the senses, these annual gatherings sustain the Gullah culture by providing a place to share traditions and a marketplace to help support the community and their artistic and culinary offerings. Last spring, Mignon discovered a display of blue glass beads, strung with sweetgrass and sent the lot of them to her production studio in New Orleans. Each bead has a unique shape and a unique history as former medicine bottles, canning jars, or water jugs. The beads are formed in clay molds, the resulting surface texture is reminiscent of sea glass that has been tumbled by ocean waves. A beautiful complement to Mignon’s classic SEA collection. 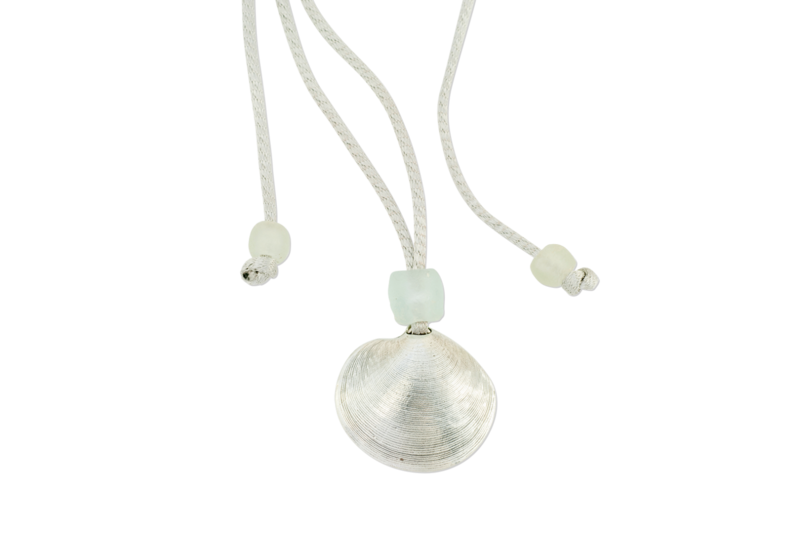 Visit one of Mignon Faget’s five galleries to see the Sterling Silver Moonsnail and Disc Shell returned to the frosty, aquatic hues of the sea when paired with these substantial beads. A perfect adornment for a day at a seaside festival or for those days when you wish you were there. In the 1975 book, How to Wrap 5 More Eggs, Hideyuki Oka examines many forms of traditional Japanese packaging. 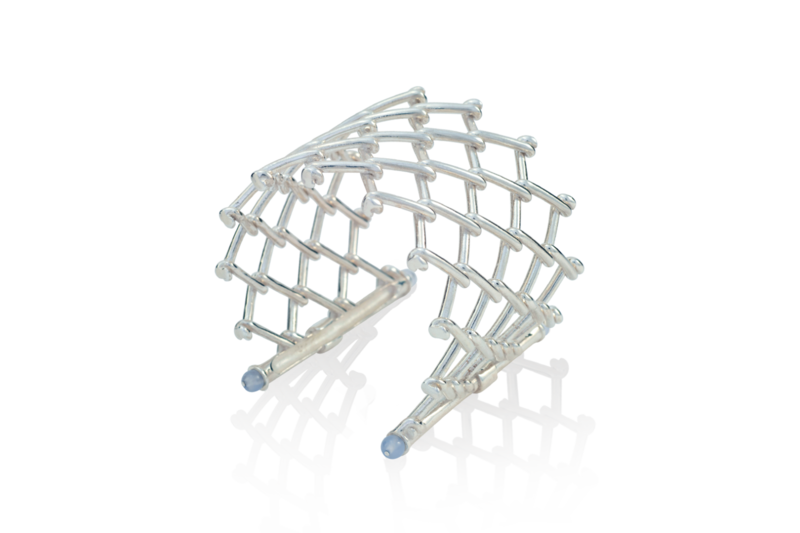 When Mignon Faget was researching a method to securely connect the silver sticks in her Lashed Fences Bracelet while maintaining flexibility, she found inspiration in Michikazu Sakai’s clean, descriptive photography. These intricate, yet simple, methods utilize materials at hand to create beautiful and functional structures that protect, dispense, or even prepare an item for use. These cunning, humble wrappings were refined over centuries of use and their graceful ingenuity still shines in a world of plastic bags and shrink wrap. Some of these methods of packaging are still in use today. Read more about traditional Japanese food packaging at Creative Roots. On a related note, we just love the similar utilitarian simplicity of Furoshiki (Traditional Japanese Wrapping) and this diagram via the Ministry of the Environment from the Government of Japan. During the Edo period, the ornately decorated wrapping cloth (fukusa) was often adorned with the family emblem (Mon) of the person presenting the gift. The cloth would later be returned and reused. Practice this fun and unforgettable tradition yourself. 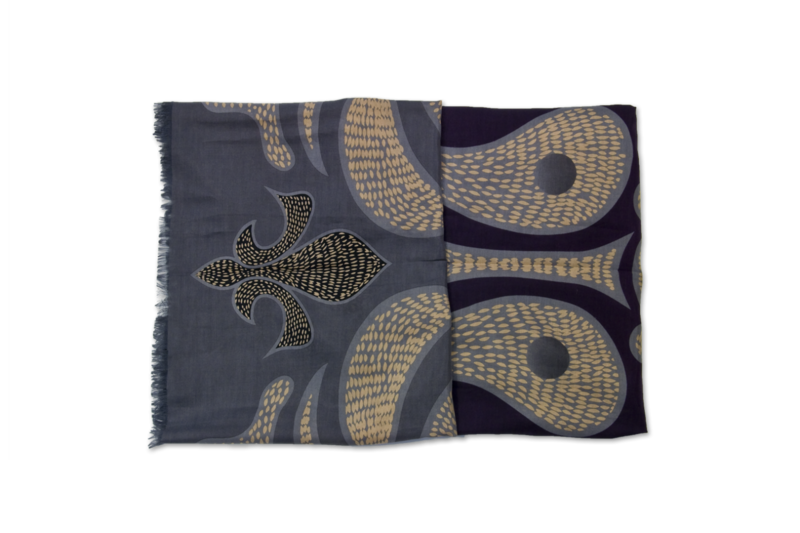 Give a Mignon Faget Lashed Fences Bracelet wrapped in one of our exceptional Fleur de Lis Linocut Scarves for a present that will impress with its beauty and thoughtfulness. Chalcedony, a form of microcrystalline Quartz, comes in many forms that are better known by names such as Jasper, Bloodstone, Carnelian, Onyx, and Agate. Jewelers and gemologists tend to use the name Chalcedony to refer to the pale, grayish blue variety. It is commonly mined in Turkey, Africa, and the United States.This milky, semi-translucent stone has been used as an adornment for many millennia, but is soaring in popularity today. In ancient Mesopotamia, Chalcedony was used to create beautiful, yet functional seals. Many seals were thought to have been set in metal as a pendant or ring, while cylinder seals may have originated as beads. 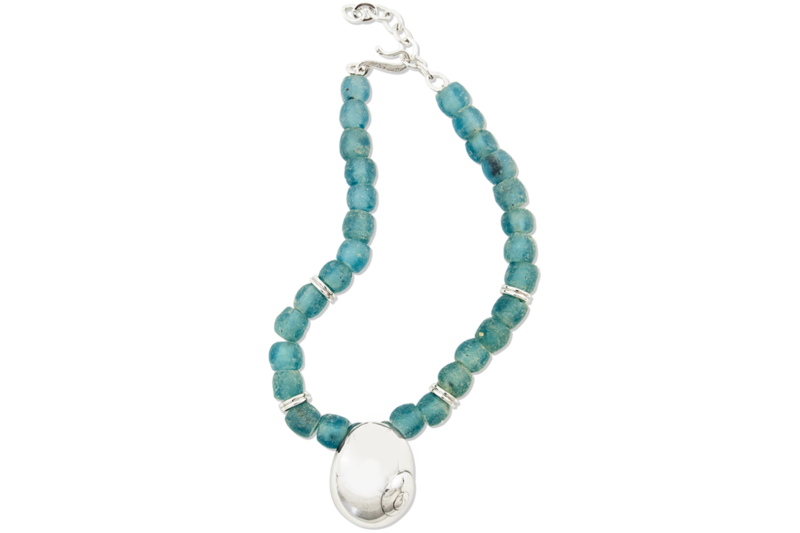 Mignon Faget loves to use the semi-precious stone Chalcedony in her jewelry. Its waxy luster catches light in a way that makes the stone seem to glow from within. Mignon features Chalcedony in many designs from her Ironworks collection and in her newest collection, Hardwear. 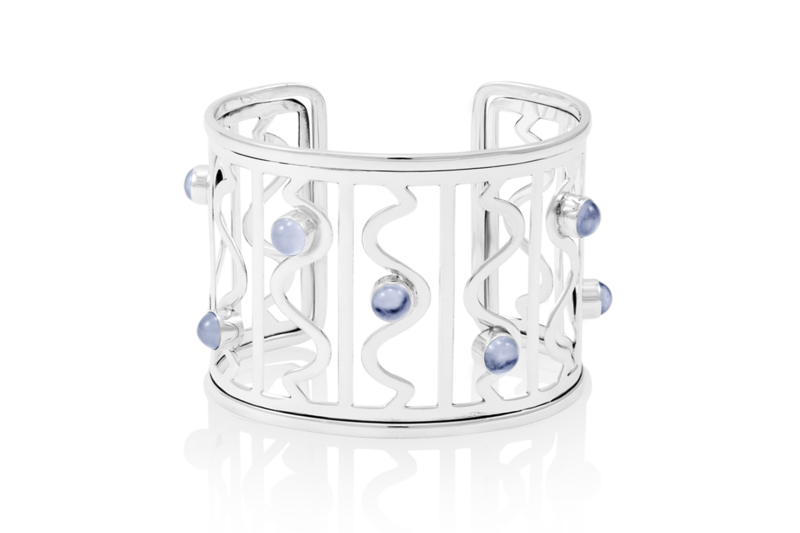 Chalcedony’s soft blue hue and diaphanous appearance provides an elegant contrast to the bright, reflective shine of the Sterling Silver. See it yourself at one of our five Mignon Faget galleries.